The crime of mayhem under California law is unique in that the focus is not so much on what the accused did as the effect on the alleged victim. California Penal Code 203 defines mayhem, also sometimes referred to as “maiming,” as the malicious disabling or disfigurement of another person. The crime of mayhem is considered an especially vicious crime, and as such, it’s punishable by a maximum eight years in prison. That assumes, however, there are no aggravating circumstances, in which case the maximum penalty is increased to life imprisonment. Make no mistake, having a formidable legal defense is the one path to possibly avoid these severe punishments. Our Riverside & Orange County criminal defense lawyers at Fakhimi and Associates have vigorously represented those charged with these felony crimes and know the best defense options that serve our clients’ purposes. What are the Aggravating Circumstances in Criminal Mayhem Charges? There are a number of aggravating circumstances that can be included in mayhem charges. These can significantly affect the way a criminal case unfolds. Defendant displayed extreme indifference to the physical or psychological well-being of the alleged victim in causing intentional permanent disability that deprives a person of a limb, organ or some other part of their body. Victim’s injuries are especially devastating, resulting in “great bodily harm.” This may result in an additional 3-to-6-years in prison. Victim falls under a special class of protected person (i.e., is under the age of 14, over the age of 65, blind, deaf, developmentally disabled, paraplegic or quadriplegic). These are especially challenging and require specialized defenses that only an experienced criminal defense attorney can navigate. Keep in mind that it isn’t necessary under the statute to prove accused intended to kill the victim; only that he or she showed extreme indifference to the other person’s well-being. Maximum fines in these criminal cases can’t exceed $10,000, but that may not include restitution to the victim. Restitution can mean many things, including being ordered to pay the medical costs and potentially pain and suffering. 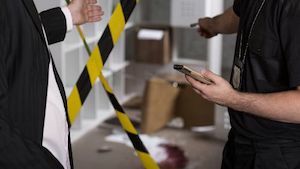 If a victim dies as a result of an act of mayhem or an intended act of mayhem, it may be charged as felony murder (first-degree murder), in which case penalties range from 25 years in prison to the death penalty. Again, experience matters when searching for a criminal defense attorney. Is Torture Considered Mayhem in California Law? Torture, meanwhile, is an extreme form of mayhem, as codified in California Penal Code 206. Note: In California, torture is always a felony, and it is punishable by up to life in prison. How is Guilt Proven in Criminal Mayhem Cases? While many state laws are overly-broad, mayhem is a very specific crime committed under very specific circumstances, as evidenced in California law. It’s not enough, for example, to show an injury was temporarily or slightly disabling in order to qualify as an injury under mayhem. The injury has to be pretty significant. In order to fit the “disfigurement” requirement, the injury inflicted has to be permanent. Prosecutors must also show that defendant acted out of maliciousness and with specific intent to either annoy or injure the victim. In some cases, even if the act was not intentional, prosecutors can still secure a conviction if they can show defendant was engaged in an unlawful act that resulted in accidental disfigurement, disablement or deprivation. As you can see, these are intricate cases the prosecutor often lays out, and as such, those charged with mayhem require devoted and confident criminal defense teams who fight every step of the way on behalf of their clients. How can an Orange County Lawyer Defend Mayhem Charges? There are a number of aggressive defenses our legal team may introduce in order to help our clients avoid a conviction. There’s much at stake, including the three strikes provision that can create problems in the future if a client is ever arrested again. If there is no question our client is involved, one of the first things our criminal defense attorneys do is examine whether the act was either accidental or in self-defense. An accidental act that causes disfigurement or disability would not be considered mayhem because it is not intentional. This can be the case even if two people are arguing at the time of the incident. This will be highly situational, and every detail and fact is going to require close analysis. Self-defense can also be asserted if the situation involved the accused acting in reasonable defense of either himself or another person. However, there is a caveat: An honest but mistaken belief that one was acting in self-defense in the course of maiming another person is not defensible under the law. 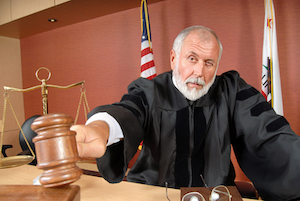 In some cases, we may argue to have your charges reduced to assault or battery. While these are both “wobblers,” if the charge can be reduced to a misdemeanor, you will face a significantly reduced penalty. Make no mistake – your future is at stake. No two mayhem defenses are the same and you need legal representation that’s going to ensure your case is not treated like any other. We start from the beginning and aggressively find ways to attack every aspect of the prosecution’s theory. These can be complicated cases; however, our clients know from the beginning where our priorities lie with every client. If you’ve been charged with mayhem, we encourage you to contact our Riverside & Orange County criminal defense attorneys at Fakhimi & Associates today.